This spacious holiday rental offers a stylish and renovated home with lots of extras. Located on the Mornington Peninsula, Victoria’s East Coast, this home is in a perfect location, just 1.2kms to Rye back beach. Come and relax at Seaesta Rye. This spacious holiday rental offers a stylish and renovated home with lots of extras. 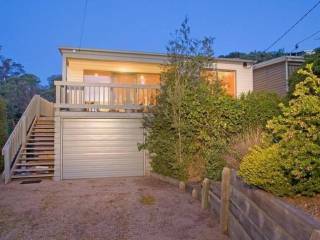 Located on the Mornington Peninsula, Victoria’s East Coast, this home is in a perfect location, just 1.2kms to Rye back beach and around the corner from the Peninsula Hot Springs. Sleeps 15 people across 5 bedrooms. Bedroom 1 has dressing table and ensuite. 3 bedrooms are fitted with built-in robes. A large second bathroom and separate toilet. The 5th bedroom (outdoor bungalow) is beautifully set up to sleep 6 people with its own toilet and basin. There is also a fold out couch in bedroom 5 and another mattress underneath the bed in bedroom 4. 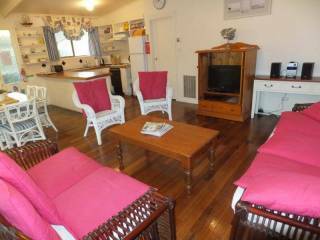 Bedroom 5 (Bungalow) : Sleeps 6 People – 2 x Double (bottom) & Single (top) bunks (Also a fold out couch) - Bedroom doors are within the pool gates. Guests must provide their own linen and towels (fitted sheet, flat sheet, pillowcases, bathroom towel, and beach towel). We supply pillows, doonas and doona covers. Guests can rent a clean linen set for $30 per bed (2 x pillow cases and fitted sheet). For all 10 beds, the total linen set is $300. Guests can rent a towel set for $20 per person per stay (1x bath towel and 1x beach towel). For all 15 guests, the total towel set is $320. If either the linen set or towel set is required for your stay, please let owner/manager know. With multiple living zones there is plenty of space for guests to spread out and relax. A quintessential seaside residence where you can enjoy your holiday and just unwind. This home will not disappoint. Pets are allowed at the property however we ask to keep them outside only. Owners are responsible for cleaning up after their pets. Any evidence of pets being inside may incur extra cleaning fees. Parties are not allowed and noise and music needs to be kept to a minimum due to surrounding permanent residency. There is to be no music on after 9.00pm during the week days including Sunday and after 11.00pm on Friday and Sat night. Disobeying these rules may result in losing your bond. We have permanent residents as neighbours with young kids. Disturbance to our neighbours and police involvement, including excessive noise, is prohibited and may result in losing your bond. Could all guests please clean the BBQ after use, or a $50 fee will be charged. No smoking inside. To respect our neighbours, keep noise level to a minimum at night. If police are called or neighbour complains, this may result in a termination of your stay, and no refund on your accommodation monies. All guests must abide by the terms and conditions that will be emailed to you before your arrival. Check in time is 3pm and check out time is 11am. If you would like an early check in or late check out please contact owner/manager for the fees involved and availability. No excessive noise, if neighbours complain or police are called, this can affect your bond. “Booking” means the period for which you have paid to stay at the property. “Property” means Seaesta Rye and all its fixtures, fittings and equipment. “Management” means the owners and managers of the property. "Guests" means the persons who stay overnight in the property during the booking. "Visitor" means a person a guest permits to visit the property during the Booking. Check-in time and check-out time is based on arrival at 3pm and departure at 11am. A safety box is located near the front door of the property. A security code customised for your stay will be provided to you in your confirmation letter, please use this code to obtain the keys and return the keys to the safety box when departing. If you would like an early check in or late check out please contact owner/manager for the fees involved and availability. We require 50% deposit at the time the booking is made (within three days) to secure your holiday time and we then require the remaining 50% balance and the bond of $1,000 as final payment 7 days (1 week) prior to your arrival. A bond payment of $1,000 is required at the same time as the outstanding balance of your Booking. It will be credited to your designated payment method once our property has been inspected and deemed left in a similar state to your arrival. We agree to ensure this occurs within 7 working days of your departure. Any damage, loss or expense incurred by management as a result breaching of these terms & conditions will be charged against the bond. Examples of this include but are not limited to are any breakage, damage or excess cleaning requirements, extra guests beyond those declared, complaints made against you etc. If you wish to cancel your booking, please contact us on the details provided or via email on seaestarye@hotmail.com Cancellation may result in loss of deposit or payment. If the property becomes unavailable for your occupancy due to unforeseen circumstances (e.g. fire, storm, damage, etc) then management will inform you immediately and endeavor to obtain suitable alternative accommodation for your occupancy, failing this, any monies paid will be refunded in full. Parties are not allowed and noise and music needs to be kept to a minimum due to surrounding permanent residency. There is to be no music on after 9.00pm during the week days including Sunday and after 11.00pm on Friday and Sat night. Disobeying these rules may result in losing your bond. We have permanent residents as neighbours with young kids. Disturbance to our neighbours and police involvement, including excessive noise, is prohibited and may result in losing your bond. Pets are allowed at the property however not inside the home. You are responsible for cleaning up after your pets. Any evidence of pets being inside may incur extra cleaning fees. Guests must provide their own linen and towels (fitted sheet, flat sheet, pillowcases, bathroom towel, beach towel and tea towels). We supply pillows, doonas and doona covers. Pool equipment must not be tampered with under any circumstances. You will be charged a call out fee by our pool cleaner if they are required to come out as a result of this. In the case of any problem or complaint, you must inform us at the earliest opportunity so Management has the chance to rectify the situation as quickly and efficiently as possible. 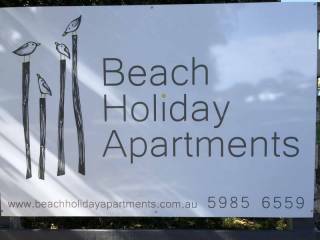 You must allow repair/service access to the property during reasonable hours, please call Baden on 0408 506 466. Only the guests nominated and agreed in the booking may stay in the property over night. If more guests stay than the agreed number all guests may be terminated without refund. No glass is to be allowed in the pool or pool area. Before departure, all food must be removed from fridges and all rubbish put in the rubbish bins provided. Bins are to be put out on the nature strip. Crockery and cutlery must be washed and packed away. The property must be left in a clean and tidy condition. Extra cleaning charges may be incurred for the cleaning of dirty dishes, washing machine, dishwasher, emptying the fridge, removal of excessive rubbish, cleaning the BBQ etc. Should the cleaning fee be more than the usual then the cost for cleaning the property, you will be charged the additional costs over and above the normal cleaning fee, which will be deducted from the security bond or charged to your credit card. The property should be vacated on time and secured. All windows and doors are to be locked. All keys must be returned to the key safe at the end of your stay. You are responsible for the safekeeping and replacement of accommodation keys. Duplicate keys in the event of losing the keys will be provided at an additional charge of $100.